The thought of our bodies walking around and operating without our personal conscious or as the more spiritual believe without our soul is an idea that has intrigued and captivated the minds of human beings for centuries. Whether it be the living-dead and body snatchers of Hollywood movies or the stories of voodoo priests using potions to turn rivals into mindless drones to do their bidding, myths, movies, and stories about zombies have been a mainstay in human culture. But the idea of our bodies walking around without freewill or after we have passed may be closer to the realm of the natural than we all thought. We have all been in the situation where we see a hideous bug in our sink or bathtub and instead of squishing it we take a more timid approach and turn the water on and drown the pest. Imagine you try to that and you watch the ugly sucker spin down the drain. You return to the bathroom later to make the horrifying discovery that the bug had returned from the dead. 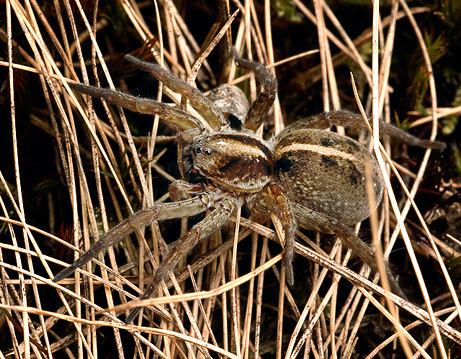 There are two possibilities: either you have a bathroom infested with bugs or you are dealing with a wolf spider, whose appearance is even more terrifying than its name. Scientists at the University of Rennes in France collected 120 Wolf Spiders and submerged them underwater and waited for them to die. After all signs of life left their little spider bodies (some stayed submerged for 40 hours) the scientists laid the corpses out to dry so they could later weigh them. A few hours later the spiders rose from the dead. Even though they were not craving brains, the spiders still appeared to be zombies. When threatened with drowning the spiders enter a comatose state where their metabolism virtually stops and all signs of life cease (the description of this comatose state sounds like death). After things get dry they awake and carry on with their business as if nothing ever happened. The weta is s large insect (some species growing as large as 4 inches long) that are native to New Zealand. They have a very painful bite and can inflict painful bacteria laced scratches with their spiny legs. Their physical appearance is cricket-like but with a few distinguishing features. These creatures mere existence is terrifying but combine that with the fact that these insects are undead and you have one formidable zombie bug. 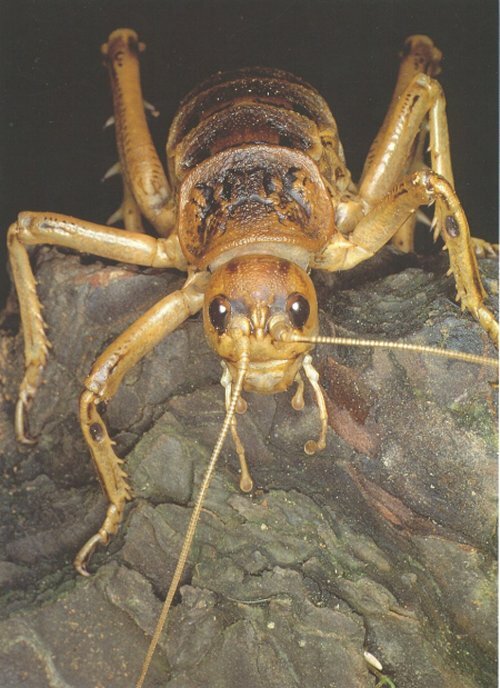 The tree weta have a protein in their blood that prevents water from freezing. Weta can survive being frozen alive for months at time in temperatures as low as -10°C by putting themselves in a suspended animation, like Sly Stallone in Demolition Man. This is an impressive feat, but it is also important to note that while in this suspended animation the weta’s heart and brain dies then recovers upon thawing out. This bug is technically a zombie. The jewel wasp is a solitary wasp that is known for its bizarre reproductive practice. The wasp stings a roach, herds it like a sheep into its nest, and then proceeds to lay an egg on the roach’s abdomen so its little baby will have plenty to eat upon hatching. So how does this relate to zombies? The jewel wasp systematically stings the roach in the abdomen. This temporarily paralyzes the roach’s front legs so the wasp can now finish its work. Next, the wasp stings the roach in the brain. The venom of the wasp then disables the roach’s escape reflex getting rid of the cockroach’s will to live. 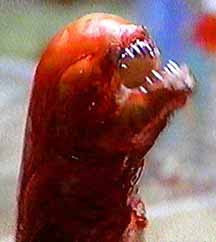 In the movie Alien, The extraterrestrial species featured lives out a larvae stage inside a host until it reaches another stage and bursts free from the host. What if I told you that Alien is based on a true story and the true story is a bit more horrifying than what was featured in the movie? Glyptapanteles is a species of wasp that lays its eggs, sometimes as many as 80 at a time, inside a caterpillar, and to ensure that the caterpillar’s red blood cells does not kill the larvae, the mother wasp also injects a virus that occurs naturally in their bodies into the caterpillar, disabling its immune system. The larvae are then free to grow and they eventually chew their way out of the caterpillar. It gets better. The caterpillar does not die. Instead it spins a coocoon over the wasp larvae to protect them so they can finish developing. The caterpillar also sticks around and protects the cocoon from danger. It’s as if the larvae are somehow controlling the caterpillar’s actions. Even more eerie is that the caterpillar dies at almost the same exact time the adult wasps emerge. I don’t mean metaphorical human zombies like in the sense that we are all zombies because we lumber about our daily routines, go to our nine-five jobs, come home, go to bed, and repete. Even though that is a great subject for a poem, I mean literal human zombies! Clairvius Narcisse was a Haitian man who was declared dead on May 2, 1962. His two sisters, Marie Claire and Angelina, buried him in a small cemetery near his hometown. 18 years pass and his family has carried on with their lives. Angelina is in the marketplace of her village when her deceased brother approaches her and introduces himself. How is this possible? Certain kinds of poisons, like the secretion of a Japanese blowfish, can put someone in a comatose state and make them appear dead even to a doctor. Narcisse had ingested some poison like this and when he slipped into his death-like state was buried. Then someone came and dug him up. Upon awakening he was giving doses of a “zombie powder” which contained the drug Datura stramonium. The drug puts the user in an emotionless, trance-like state, but the user can still perform menial tasks. In Narcisse’s case he was used as slave labor on a sugar plantation. He was a zombie-slave for 18 years. You don’t like zombies of the voodoo variety? Are you disappointed because when you read “Zombie Humans” you were hoping for overly aggressive, mindless killing machine as seen in almost every zombie movie since Night Of The Living Dead (1968)? Well don’t worry because human zombies like that are not out of the realm of possibility. Seretonin is a chemical in our brain that helps keep us calm, but according to one scientific study done with mice, it also keeps us from being aggressive killing machines. A group of scientists created a group of mutant mice whose brains lacked the receptors to process seratonin and this resulted in the mice acting overly aggressive toward other organisms. Now Imagine a virus with the ability to prevent human brains from processing seratonin. You could also imagine a parasite that takes control of our brain and makes us do unimaginable things. Not possible you say? Evolution tells us otherwise. Spinochordodes tellinii is a parasite that gets inside grasshoppers and releases a protein that interferes with their brain and makes them commit suicide by downing. Euhaplorchis californiensis gets inside the brain of killi fish and makes them swim and flop around on the surface of the water so it is more likely for it to get eaten by a bird. There is also a parasite that some scientists believe already changes human behavior. Toxoplasma gondii is a parasite that is normally found in cats. It gets there by getting into rats through the filth they eat. It affects the rat’s behavior by making them friendlier toward cats so they are more likely to be eaten by said cats. Once inside the cats it begins reproducing (sounds like a morbid Dr. Seuss book). The parasite also gets inside humans and causes no physically harmful effects, but according to one psychological study it does change our personality. The study found that people tend to get more insecure when infected with the parasite (perhaps this explains emo kids). It also changed the personalities of men and women differently. It made men more jealous and suspicious and made women more affectionate.